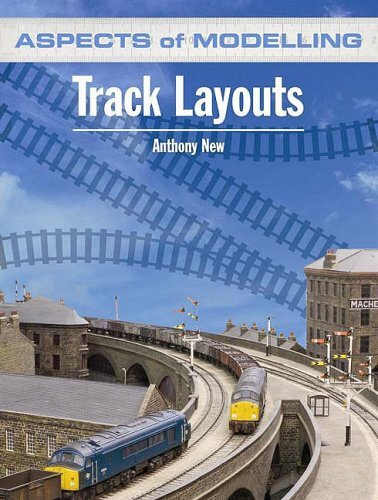 Track Layouts from Anthony New is aimed at the builder of larger layouts. Its also a great read for fans of the ex GWR as around 60% of the book is devoted to layout designs based around GWR prototypes. As Anthony says, with the abundance of high-quality, high-detail models that are now available, attention is turning to more realistic layout design and operation. Therefore this is not a book for someone who wants to quickly create their first train set oval of track – but is accessible and a great read for anyone who wants to put some thought into their layout design. While many of the station plans are based on GWR prototypes, The other regions are not left out – there are plans for layouts based on Glasgow St. Enoch, Leeds Central, Kings Cross and the Lickey Incline. For GWR fans there are many usable layout plans of stations like Penzance, Truro, St.Ives, Bristol and even Calne is great. Note that these plans probably need to be re-created in a CAD program to ensure all the trackwork will fit as suggested, and most plans require flexible track and none-setrack points. The author also explains operational principles behind steam age goods yard and loco shed track layouts, which will benefit those of us too young to have seen the pre-Beeching railways. Overall, Anthony New has produced a great read, and an excellent reference for layout ideas, particularly if you favour the GWR / Western Region of British Rail(ways).